Singapore has initiated the Tamil Digital Heritage Project to digitize all works of local Tamil authors. The project will cover all the literary works from 1965 till 2015 and is being targeted for completion before the nation gets to celebrate its 50th Independence Day on August 4th. The project will involve the active participation of the National Library Board, National Heritage Board, National Art Council, National Book Development Council of Singapore, and the Tamil authors organizations. The National Library Board hosts more than 500 titles, including those of noted Tamil authors from the regions such as K T M Iqbal, M Elangkannan, and Singai Mukilan. 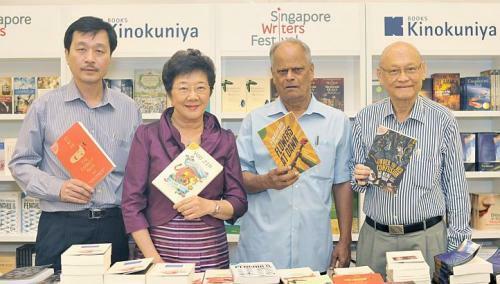 Arun Mahizhnan, chief coordinator of the Tamil Digital Heritage Group, cited the lack of accessibility to Tamil literary works even they have been published in the island nation since 1800. He applauded the recent initiative and the obvious benefit of opening up Tamil literature to new generations anywhere in the world. Worth mentioning here, the National Library Board is currently engaged in another digitization project in collaboration with the British Library to make digital copies of rare Malay manuscripts.